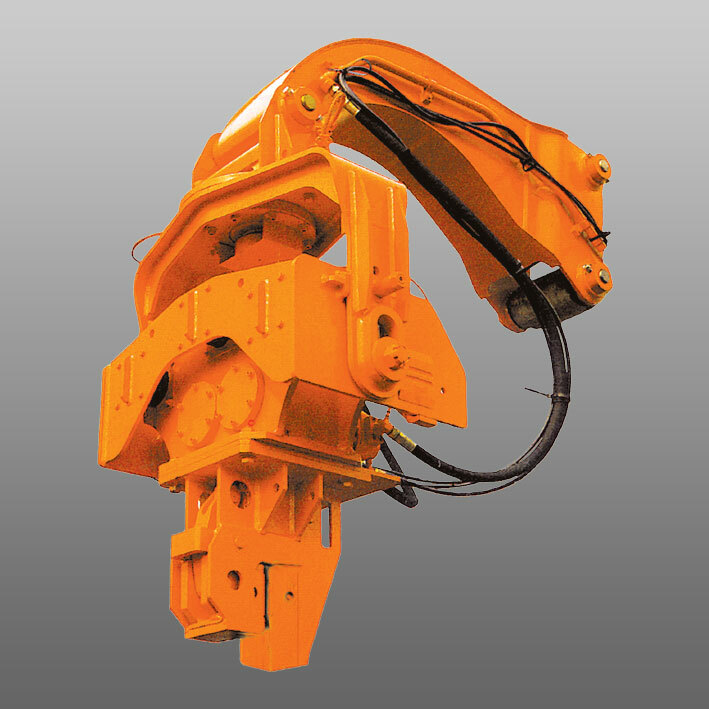 The sheet piler can be provided with two different versions of the hydraulic motor. The HP-7SX is equipped with the standard hydraulic motor; the HP-7SXB is equipped with a hydraulic motor working with a lower working pressure and a higher flow. Although the different hydraulic motor, the vibration force for both machines will be the same. Depending on the excavator it is always possible to find the perfect match. 180° free rotation allows precise alignment and positioning of the sheet pile. 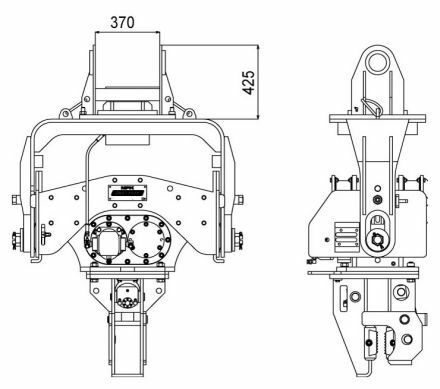 90° rotatable chuck housing which gives excellent horizontal positioning to remove the sheet from the ground. An automatic hydraulic swivel lock prevents twisting of the sheeting, during driving or extracting operations. No external power source is required and the machine being simple to operate means that any excavator operator can easily drive and extract piles. Fitted with a hydraulic/mecha­nical cylinder lock for positive sheeting and pile-clamping – prevents slippage. Noise insulating and shock absorbing rubber mounts.